This one is kinda' oldie, from 2010. I don't know how I found it, but I love it! 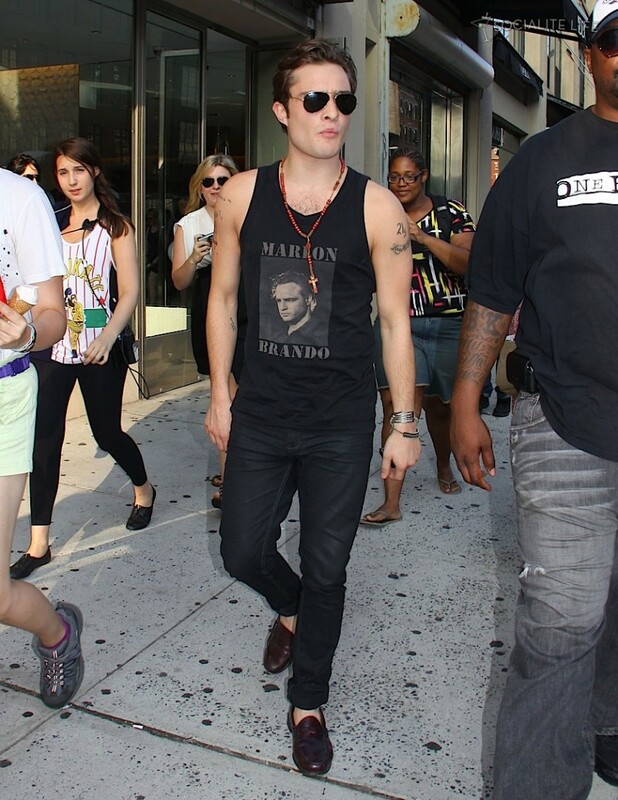 Ed Westwick, stylish...in 'n out of the set!